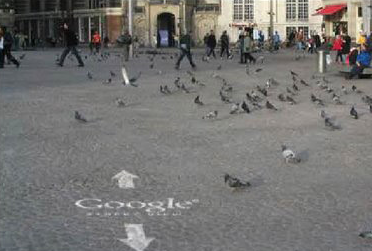 The Google Street View application allows you to take a trip throughout a city in 3D. 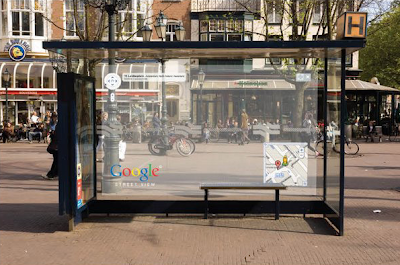 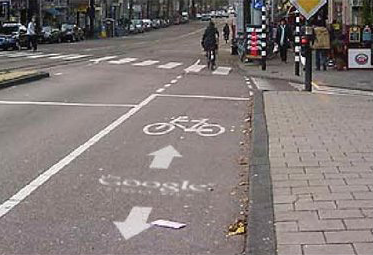 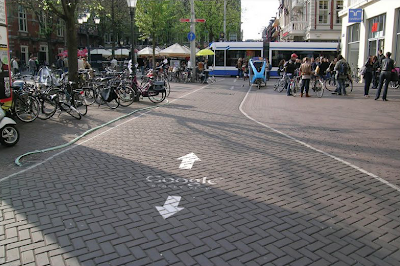 With this campaign, Google takes Street View navigation arrows into real life all over the city in Amsterdam, Rotterdam, and Groningen. 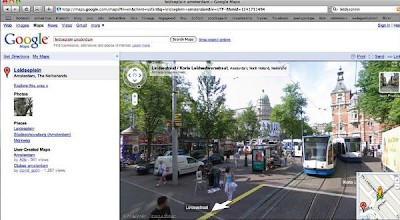 At bus stops near central places in the city, people can experience how Street View works.